Tailings dewatering screen in the use of the process may appear a lot of noise, so what is the cause of it?How can we avoid this kind of failure?The following introduces the tailings dehydration screen before the use of the need to check or pay attention to six points. Before starting the tailings dewatering screen, check whether the bolts of each part are tightened. The purpose of tightening bolts is to make each part more fit and reduce unnecessary extra vibration during work.Damage to the tailings dehydration screen, thus reducing its life. 2, Replace the steel spring with rubber spring to reduce impact, rubber spring is more wear-resisting, and the noise produced by vibration is also very low. A flexible sound insulation cover is installed outside the exciter to isolate vibration and reduce noise. 4.Replace the perforated steel sieve plate with polyurethane sieve plate or rubber sieve with small elastic modulus and low impact noise to reduce the noise several times and reduce the impact on the tailings dewatering screen. 5.Damp the inner and outer sleeve of the bearing. The rolling body of the bearing can be made into hollow rolling body or damping material can be added into the inner part of the hollow rolling body, which can reduce the vibration of the bearing and reduce the noise of the bearing. 6.Rubber board is added to the side board of the screen box, the feed inlet, the discharge port and the material receiving chassis to effectively suppress the high-frequency vibration of the side board and reduce the radiation noise.This is also an effective way to reduce noise. 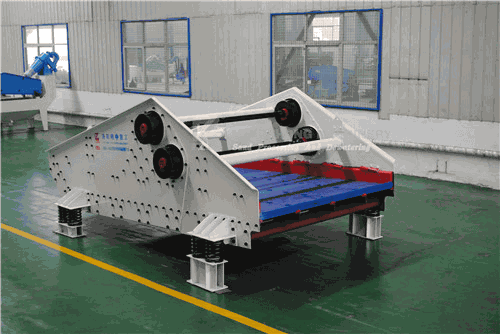 If you follow the above methods to use tailings dewatering screen, even if can not completely eliminate the noise of the machine can greatly reduce the noise.